Let’s talk about the spark of joy, by which we mean books, right? Books are lovely things; in fact, we’ve spent quite a few hours this week looking at lovely editions of books and making winsome noises about having those books nearby. Marie Kondo, author of The Life-Changing Magic of Tidying Up, would like us to put all of our books in piles and separate them into “books I’m going to read right now” and “books that are sentimental treasures and that give me radiant joy.” She suggests that books that don’t fall into either of these two categories should be given away. We like Marie, and in fact, her new manga version of her tidying book is terribly cute and winsome in its own right, but seriously? There is only one pile of books, right? They’re all sentimental treasures. Well, maybe not those over there, but whatever, they’re pretty and they look nice in that stack. 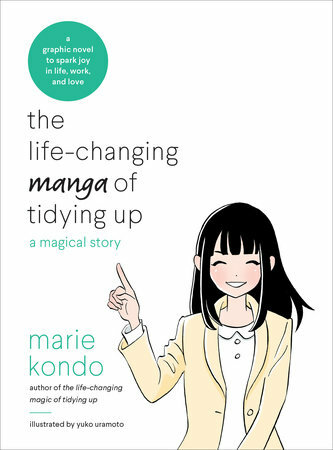 But yes, The Life-changing Magic of Tidying Up is now The Life-Changing Manga of Tidying Up, and we think it’s a fine text to hand off to any youngster who insists on seeing life through the manga lens. We know a few, and we’re going to slip a copy of this under their pillows when they’re not looking, which won’t be that hard, because they’ve got their noses permanently stuck in a book. They’re just so darn CUTE when they do that. 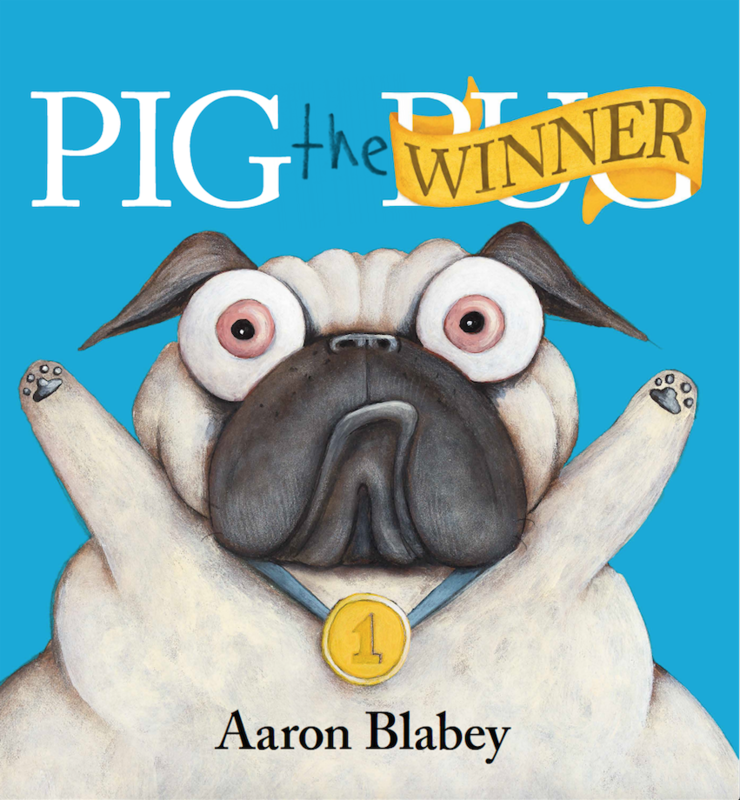 And speaking of cute, how about Pug the Winner, a new twist on the classic fable of what happens to cheaters. Cute dog; terrible attitude. Life lessons abound. We should send a couple hundred thousand of these to DC. Whoa! Look at the time. So many books to cover. Let’s not get distracted. 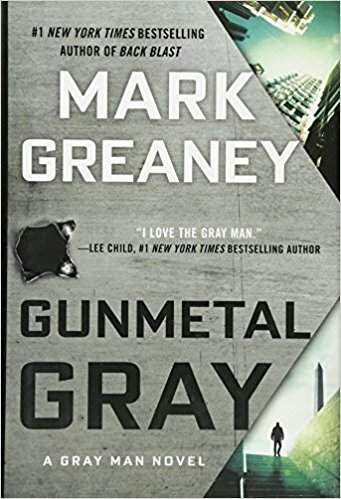 How about some Gray Man, Mark Greaney’s blockbuster assassin series. Gunmetal Gray came out earlier this year, and we’re still moving copies in the store. It’s nice to see customers find a new series they like, and Greaney’s books are somewhere between Tom Clancy and Lee Child on the Badass Technobabble spectrum. 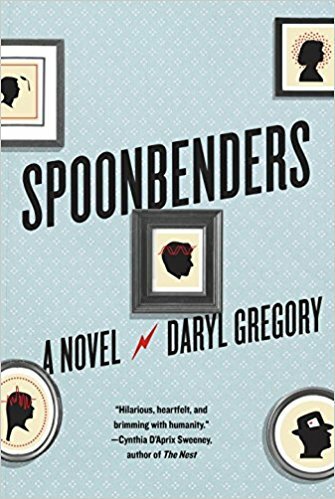 And speaking of speculative handwaving, store favorite Daryl Gregory is back this week with Spoonbenders. Gregory has been writing psychologically complicated family narratives for a long time now (all the way back to Pandemonium, really), and Spoonbenders is his take on the fringy world of hucksters psychics. Of course, some of Telemachuses do have gifts. Well, okay, most of them do. In Gregory’s capable hands, this family drama swings between heartbreakingly hilarious and gloriously poignant. It’s like The Brady Bunch with Uri Geller and Madame Blavatsky as Greg and Carol, along with that kid from The Omen and that kid from The Sixth Sense and that other kid from the X-Men (no, not that one, the other one), and that girl who didn’t have any psychic abilities whatsoever but who Peter Venkman wanted to—oh, anyway, you get the point. And speaking of funny speculative fiction writers, we’ve got a new Douglas Adams book this week. Well, kind of. It’s a novelization by James Goss of a script that Adams once wrote for Doctor Who—way, way, way back in the day. 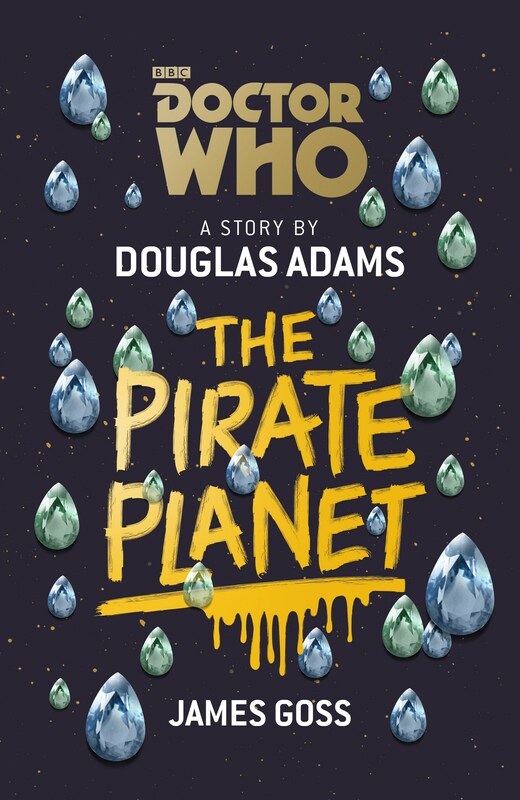 And as we sit around and wait to find out who is going to be the Thirteenth Doctor, why not take a TARDIS-spin through time and space and have a little fun with The Pirate Planet—a world where it rains diamonds and everything is provided for everyone. Surely, this is all a ruse, an illusion, and a madcap fever dream, right? 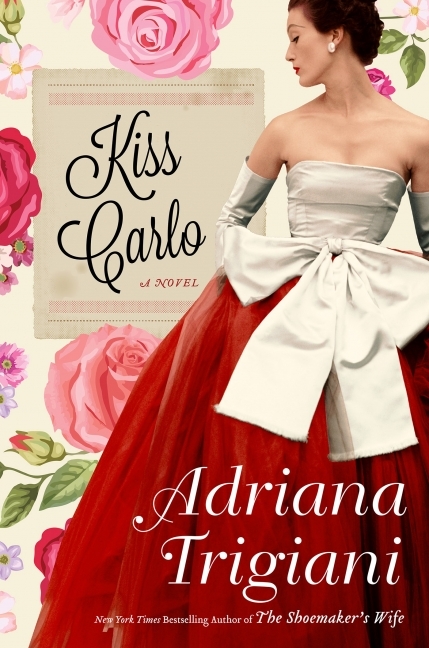 And speaking of madcap adventures, Adriana Trigiani returns with Kiss Carlo, a mid-twentieth century family drama of competing cab companies, wily telegraph offices, and secret Shakespearean moonlighting. A jubilant celebration of familiglia, Kiss Carlo ushers in the golden age of soap opera entanglements, wherein secrets and lies are swapped with equal abandon. 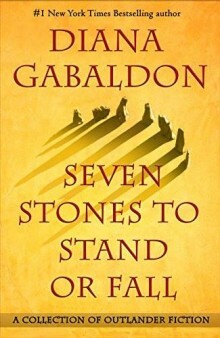 And speaking of confusing narrative threads, Diana Gabaldon has finally collected up most of her shorter Outlander-related fiction in Seven Stones to Stand or Fall. Now, we took a peek at her introduction which outlines the basic Outlander timeline, and frankly, we’re even less sure where to start now. Suffice to say, if you’re not bothered by Time or Space getting all bungled and twisted in your Romance (sort of like a Reece’s Peanut Butter cup, but more like how your cords get all tangled in your coat pocket), then Seven Stones to Stand or Fall will be very straight-forward. 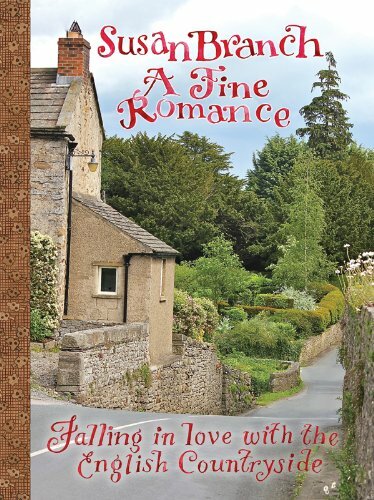 And finally, speaking of being turned around so much you don’t know which way you are going, Susan Branch’s A Fine Romance is back in print, with, ah, more pages than the previous edition. Is it the lined pages in the back where you can add your own romantic notions? Is it the index? OMG! This whole book is written in this loopy handwriting script, like it’s Branch’s own travel journal, but, you know, printed on fine quality paper so the pictures are all crisp and neat. But she’s drawn doilies and colored boxes around the pictures! Did she do this for each copy? And there’s a lovely silk ribbon for your cat to play with! Oh wait? What is this? It’s a story about love—falling in love, traveling for love, swooning over love. Love love love! Oh, and that reminds us. Ten years ago today, Apple released the first iPhone, forever changing the way we interact with the world. Don’t forget to put your phone down for a few minutes today in recognition of how we used to live. Smile. Make eye contact with the hummingbirds and butterflies. Laugh. And read a book. No one will be surprised that we have a few suggestions . . .
HORACE: No, it’s—you know, that’s a great opening line. We should use that. JASPER: For what? That book you’ve been talking about writing for the last decade? HORACE: I’ve haven’t been talking about it. I’ve been working on it! JASPER: Rewriting the outline isn’t writing. It’s daydreaming with an inkpot. HORACE: Oh, and what have you accomplished in the last ten years, sir? COLBY: Can you shelve your bellicose bickering for a moment or two? There is a raven in the duct here. JASPER: Yes. Yes. Of course. Our apologies, o mediating marmot. HORACE: Is it, indeed, just a stuffed raven? Does it have any wires attached to it? COLBY: I don’t think it is wired. No, wait. Yes. There is a plate under its talons. If I move it, the plate will shift. JASPER: A pressure plate! How dastardly. HORACE: Don’t touch it! It’s a trap. COLBY: I know it’s a trap. HORACE: You have to switch places with it. COLBY: Have you seen this duct? I’m not switching places with a dust bunny in here. JASPER: Oh, to have come this far and be denied like this. Oooh, authors. They can be so unreasonable with their need for privacy when they write. Why can’t they work in an office like everyone else? JASPER: Oh, damn that old hoary theory about the “creative impulse.” I did my best work while hunched over a dinette set in a tawdry downtown diner, drinking cheap coffee and smoking nicotine-stained placemats. JASPER: I beg your pardon, sir. How dare you! The ghost of William Morris will rouse himself at such balderdash. COLBY: Gentlemen! The raven. It persists. HORACE: Yes, yes. We know. Just a minute! COLBY: This minute would pass much quicker if you two stopped bickering. HORACE: We have managed to function effectively as a team for twenty years, I’ll have you know. HORACE: Don’t make me get out the Oxford Dictionary! COLBY: I’m just going to shove this raven over and hope the duct gets filled with poison gas or fire.